From time to time, consumers order third-party toner cartridges that are not recognized by their printer or are causing an error message that the toner is empty, even though the new cartridge was just installed. This can also happen when a cartridge has been refilled by the consumer, but not properly remanufactured. In many of these cases, the problem lies in the manufacturer’s use of microchips within the toner cartridges. Toner chips are installed in cartridges to monitor the toner as it is used. As the toner gets low, the chip will communicate that information with the printer which will then alert the user. Though this seems like a genuinely helpful tactic that was built to be beneficial, it can have negative side effects. In some cases, these chips often expire at a certain date so the printer will read that a cartridge is incompatible long before it is actually empty. Some modern “smart chips” installed in toner cartridges communicate with the printer to verify the cartridge is “genuine” and came from the original manufacturer. Major manufacturers claim that this reduces the likelihood of problems, but it also eliminates third-party competitors and forces users to buy OEM replacements. 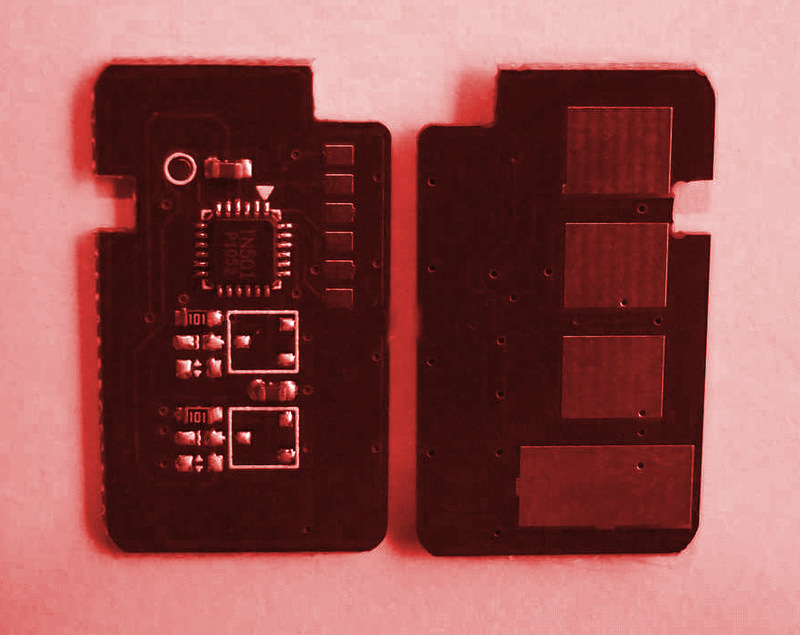 Sometimes the chip will even deliver false alerts that make users believe that a third-party cartridge could have damaged their printer, which very rarely actually happens. The European Union has banned the use of many of these chips mainly to increase recycling capabilities, increase competition, and prevent unnecessary waste, and similar laws are being considered in other countries. Some users attempt to avoid these deceitful tactics by using a chip re-setter and refilling their cartridges on their own, but there are many dangers involved in this process, and it is not recommended. Instead, the best option is to seek a third-party seller who offers remanufactured or compatible toner cartridges with a 100% guarantee of compatibility. These companies produce products with compatible microchips, and if you encounter a problem, they will stand behind their product and offer a refund or replacement.